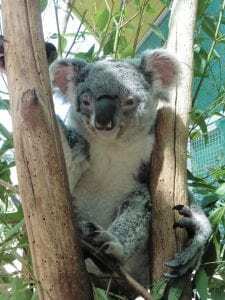 ANARRA Wildlife Rescue are holding a raffle fundraiser to assist in the costs of a cataract operation for a koala named Princess. ANARRA rescued Princess from the side of the road back in 2016 and raised funds through a raffle for the operation on one of her eyes. Now that Princess has recovered, she is ready for the other operation on her second eye. There are three amazing prizes to be won, and tickets are just $1.00ea or six for $5.00. So what are you waiting for? Help Princess today by purchasing a raffle ticket (or six) and go into the draw to win! The raffle will be drawn 29 March 2019. Tickets are available at Councils Planning and Development department at 29 Channon Street, and also at MRCCC, 25 Stewart Terrace, Gympie. To find out more about the prizes and how to purchase tickets, please click here.